This is an original one-of-a-kind acrylic painting that I just finished. It has a wooden frame which is included with a sawtooth hanger on back, ready to hang. A sweet and whimsical folk art painting of a country home, garden and cat. 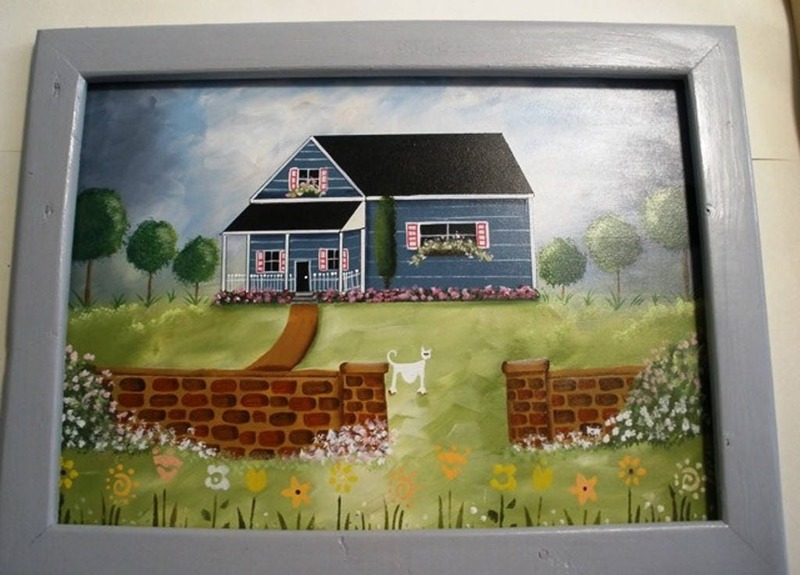 A great gift for the new homeowner, newly engaged couple, Mom or Grandmother.